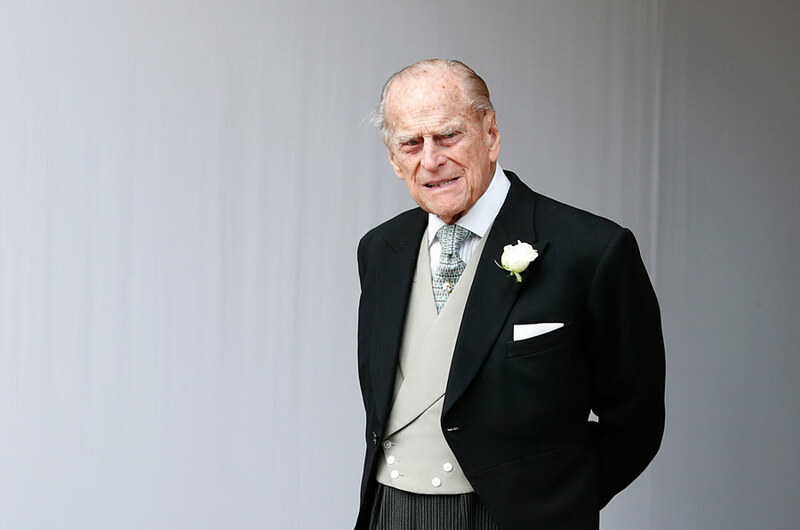 Prince Philip at the wedding of granddaughter Princess Eugenie at St. George's Chapel on Oct. 12, 2018. Photo: Alastair Grant/WPA Pool via Getty Images. 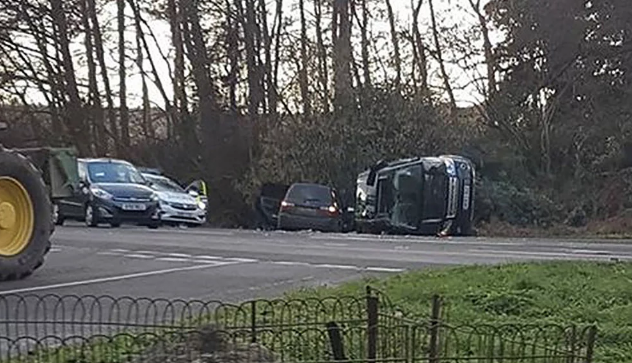 Prince Philip was involved in a terrifying car collision on Thursday near the Royal Family’s Sandringham estate in Norfolk, outside London. Norfolk police responded to the crash shortly before 3 p.m. after the Land Rover driven by the Queen’s 97-year-old husband collided with a Kia. A nine-month-old baby and two women were among the passengers of the vehicle police said Friday. The driver of the Kia, a 28-year-old woman, suffered cuts, and the 45-year-old woman in her passenger’s seat sustained a broken wrist. Both were treated at the Queen Elizabeth Hospital in King’s Lynn and discharged Thursday night, police said. The Duke of Edinburgh, who retired from royal duties in August 2017, was pulling out of a driveway on the A149 and onto the main road when his Range Rover overturned in the crash, reported the BBC. Numerous eyewitnesses scrambled to help the royal get out of his vehicle safely. According to royal correspondent Nicholas Witchell, the prince was conscious, yet clearly in a state of shock. The scene of the accident. Photo: BBC/Twitter. Philip has been staying on the Sandringham estate with Queen Elizabeth since the Christmas holidays. Both Philip and the driver of the other car were tested for signs of alcohol, but a police statement said both breathalyzer tests were negative. A statement from Buckingham Palace did confirm that the prince “has a valid driving licence.” The U.K. has no age limit on driving.